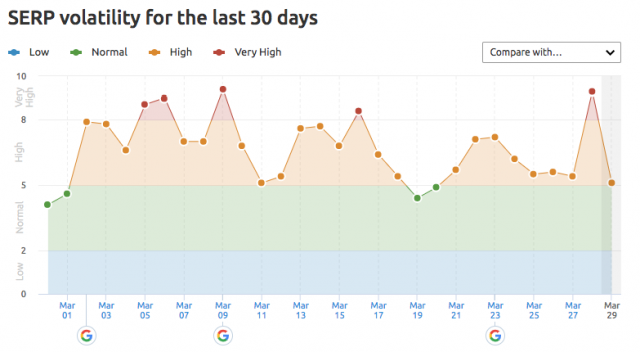 Home > Google News > Google Updates > Google March 28th Algorithm Ranking Update? 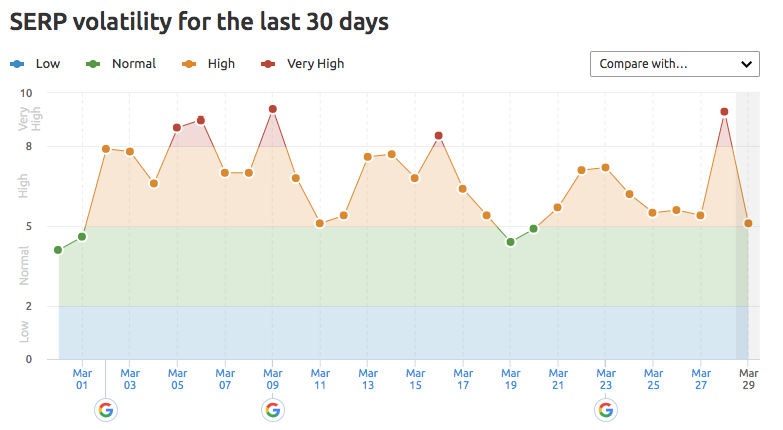 Google March 28th Algorithm Ranking Update? 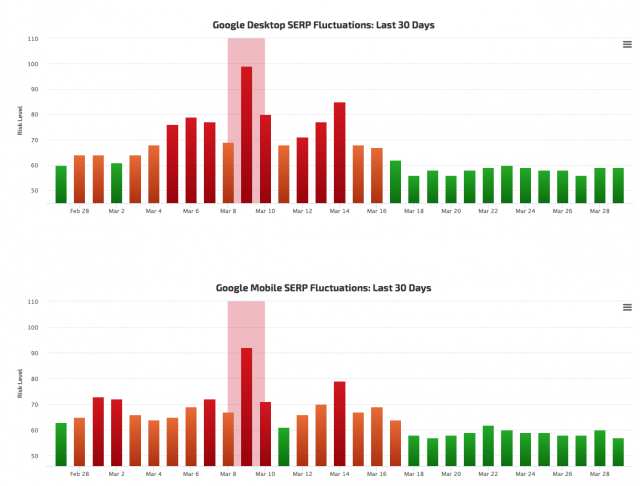 There may have been another update late March 27th, mostly on March 28th and through today, with the Google search rankings. I am seeing an uptick in chatter from the SEO community. It might be ongoing from the March 23rd update which is unconfirmed, that some believe are tweaks to the confirmed core update from earlier this month. Either way, there is a lot of chatter around a possible Google update over the past 24+ hours. Could this one be related to the rollout of the mobile first indexing process? Maybe, but the weekend one was not related to that and those tracking this closely aren't thinking it is a mobile-first indexing thing. I believe there was another update starting around 5pm ET yesterday the 27th. We are in a service niche and dropped about 3 to 5 spots in every major US city we track since then. Unless it's something to do with mobile first, but we have objectively the best mobile site in our industry. Finally able to report a slight uptick. The past week has seen better than average traffic level and conversions even though I raised my price 20%. Of course I'm not going to hold my breath on this apparent "anomaly". Historically this should be the beginning of a very slow period each year. I'll take it though. While I was supposed to stay away from the analytics and forum... today's update could not stop me from posting. There seems to be yet another update. Our real time views dropped to 20. Lowest real time I've ever seen. It should not be less than 100. Just a weird update...today (in the last few minutes actually) I am suddenly seeing large amounts of global traffic as if a gate way opened. All this traffic is to the site home page. It does not look human however as it's just one and done visits. Something is up....but as quickly as it came, it's gone. Indeed, there was another update on March 28. My friend's site which was never hit by any update got hit this time, 30% drop. Are you noticing any ranking changes over the past 24 hours or so? Let us know. Previous story: Google Air Quality & Pollution Widget Smells Off?